The bigger, better, knock-’em-all-out guide to the globe’s ultimate computer gaming feats! All the essential records that your thumbs have to beat if you want to be a true contender! In a book that’s chock-a-block with eye-watering triumphs and challenges, you’ll find out exactly what you’re up against: the highest scores, the most fought-over records, the biggest tournaments and the ultimate cash prizes! 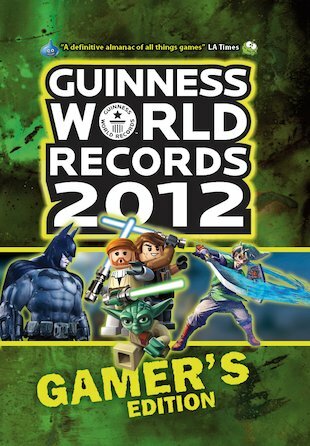 Fill your calendar with a round-up of essential gaming events – including new game releases, consoles and tournaments. Discover new strategies, meet the pros, and pick up cool cheats to boost your play. You’ll also find news stories, trivia, Top 10 charts, quizzes and quotes from top players. Feed your game addiction with die-hard feats from the world’s very best!